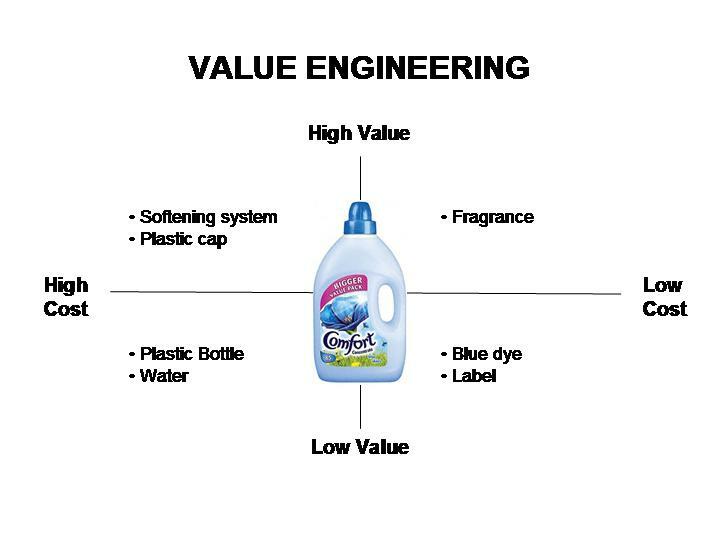 Value engineering is the process by which a company analyses the individual components of cost within a product or service in order to determine whether it can re-engineer the product’s cost base in order to improve the value to the customer. 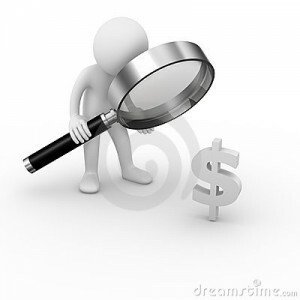 The start point for value engineering is to understand the relationship between each individual cost component and the value to the customer associated with each individual component of cost. Consider the example of Comfort fabric conditioner. High value to the customer and high cost – for these items, a company would rigorously analyse small changes in the specification of each component of cost in order to optimise the relationship between the value to the customer and the cost. High value to the customer and low cost – for these items, a company would seek to invest more cost in order to increase the value to the customer i.e. in the example, either by increasing the amount of fragrance in the product or by upgrading to a superior quality fragrance. Low value to customer and high cost – for these items, a company would seek to reduce the cost i.e. in the example, this could be achieved by either reducing the amount of plastic in the bottle or by reducing the amount of blue pigment in the bottle and or by introducing a quadruple concentrated formulation. Any cost saved can either be used to increase margin or to reinvest in high value low cost items. Low value to the customer and low cost – a company would typically ignore these items. 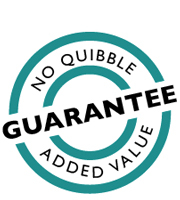 The win win from value engineering is to increase the customer perceived value whilst reducing the total cost. Price is the only element of the marketing mix that directly produces revenue. All the other elements produce cost. Small changes in price can have significant effects on volume, market share and profitability. Learn more about the fundamentals of pricing.